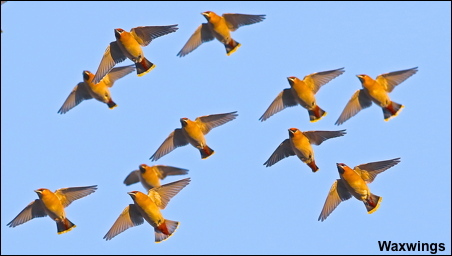 If there is one bird species that excites bird-watchers it is the Waxwing. None came to us last winter as there was an abundance of berries in Scandinavia so they stayed over there, but this winter the situation is different. At present there are hundreds of Waxwings in Scotland eating their way south . This week seven have reached the Burnley area so Christmas may bring the best present of all – a Waxwing in your own garden! So start checking your own berries today! click here for gallery of photos from previous Waxwing visits.